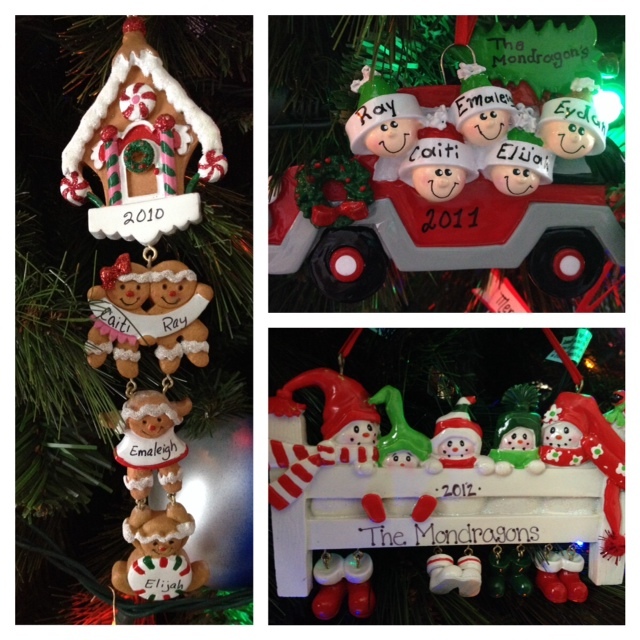 I love ornaments…come to think of it, I might actually be a little obsessed with them. They have a way of taking me back. Taking me back to the Christmas that I was so sick I just sat on the couch in tears. OR the Christmas that I left Santa a 3rd grade picture of me, and he actually took it! Or the Christmas that I got my brothers matching type writers (yes, that’s right, type writers). Or the Christmas that Ray asked me to be his wife in front of my entire family. Or even the Christmas that we shared with everyone that we were going to have our first baby. Or the year that Santa left behind sparkly footprints for Emaleigh and Elijah. 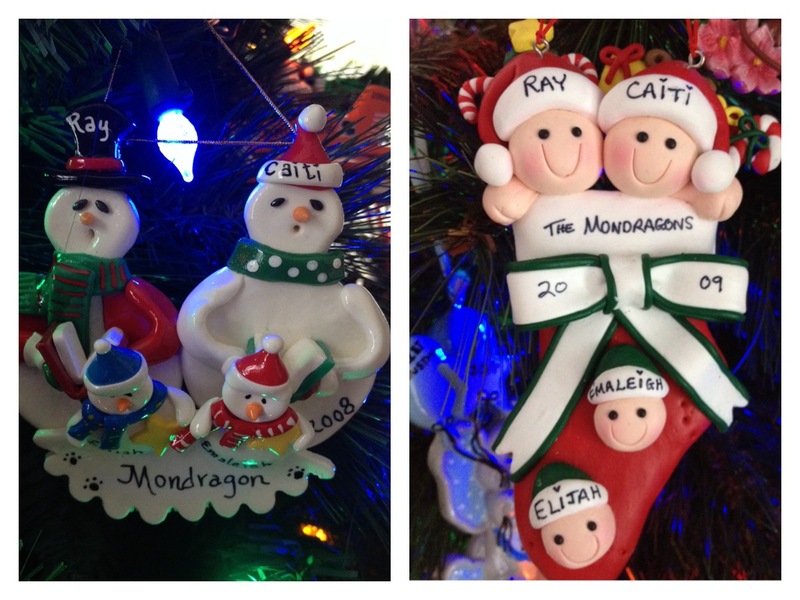 When we were married, Ray and I were each given boxes of our childhood ornaments. Putting our two lives together on our first Christmas tree. 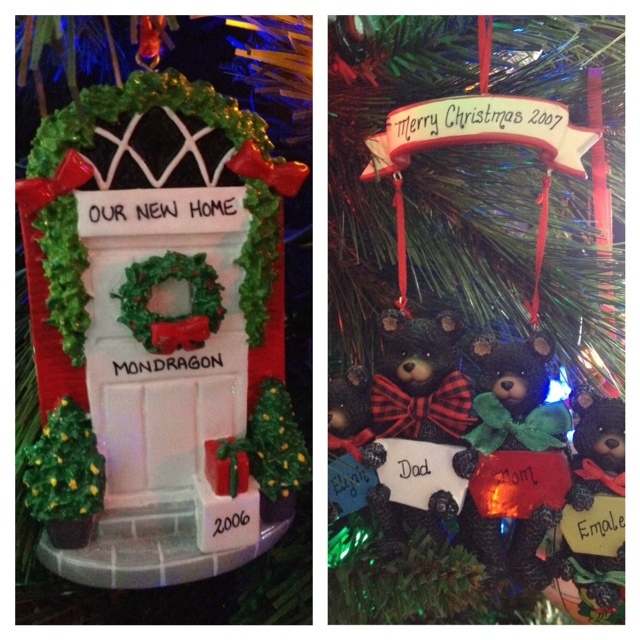 Everything from circa 1982 ornaments to homemade classroom picture ornaments. And now, 10 years later, we have 5 lives scattered throughout the tree. If I could, I would put a little chair right smack dab in the middle of the room where our tree is and stare at it for hours at a time. It serves as a little reminder to slow down. Don’t just join in the hustle and bustle that come along with this time of year…enjoy it. Enjoy your families…enjoy your memories. Just enjoy the little things. We all have so much to be thankful for each year, and it’s easy to lose sight of that when we’re so busy trying to fill stockings…Instead, slow down and allow your heart to be filled instead. December 4, 2013 in Caiti Mondragon, Family Life. Thanks so much for reading Amy. 🙂 Enjoy this Christmas! Oh, I love this. I am excited for this weekend so we can get all of ours out. So fun and so many memories! I love ornaments! 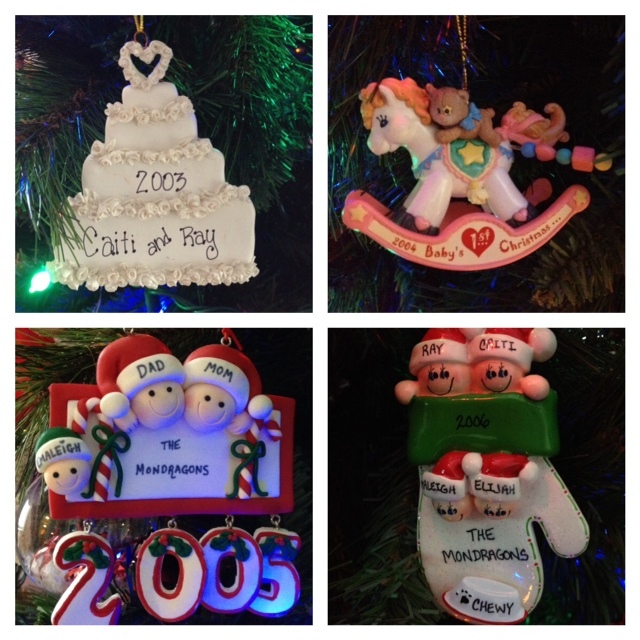 🙂 I have some childhood ornaments that are precious–things my dad, my husband, and I made when we were little! So precious.